Home » News » CLWDW » Goodbye Rachel! Rachel Zammit the Head of Public Health and Communications recently left us to start a new role as Public Health Lead for Sefton Council. Before she went we managed to catch up with her to wish her all the best and took the opportunity of asking to reflect on her years with Cheshire Living Well, Dying Well…. You started work at the Cheshire Living Well Dying Well Partnership six and a half years ago. What were your initial thoughts about the task ahead and why were you interested in this aspect of public health? The job appealed to me because it was so different. The role at CLWDW provided an opportunity for me to establish, shape and influence a public health partnership approach towards ageing and end of life. Up until then in my career, I’d never given end of life or palliative care much consideration. When I began looking into death, dying and loss as a public health issue, I realised it was a new, innovative way of thinking. Professor Allan Kellehear was leading the way within the academic world and had developed the conceptual thinking; the 2008 End of Life Care Strategy made reference to engaging communities and the Dying Matters Coalition had been established in the UK, but in reality there were very few strategic and practical examples of embedding this at a local level. I was determined to make the CLWDW programme a public health programme, based upon public health principles. A key test of a new pubic health programme is whether the subject matter has become mainstream. Has death, dying and loss become everyone’s business? I think much progress has been made nationally and especially in Cheshire. As a result of the work we have undertaken, the programme is embedded into communities, organisational ethos and public health plans, however, there is still much to do! 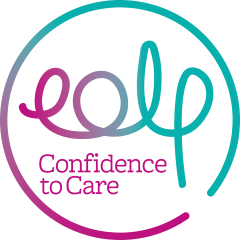 A public health approach to palliative and end of life care does not necessarily need to be led by the end of life and palliative care sector – true, strong and effective partnership working is what is required to drive this forward. What are the key achievements and highlights? I am most proud of leading the journey of taking conceptual thinking into reality. This has involved strategic influence at both a local and national level but also developing a vision which can be translated in very tangible and practical ways connecting with individuals and communities. My highlights include enabling the local and national recognition of the fantastic work taking place in Cheshire, establishing and developing the Cheshire Living Well, Dying Well Community Partnership and the Community Ambassador Scheme. The many engagement events such as those held at Sandbach Town Hall and Crewe Alexandra Football Club were also a highlight. They were delivered on a big scale but remained intimate. Feedback was always fantastic. What are the building blocks for success? Two things come to mind. Firstly, developing the team around me has been key. Whilst it’s been an evolving process, I’ve been lucky to work with some great people who have brought fantastic skills, they have been flexible and willing to learn what works in order to engage people and bring everyone along with us. Secondly, the ability to establish relationships at lots of different levels including grassroots and with community members. Gaining their trust, looking at what is important for them and translating this into strategy, implementation and reporting. The ability to ensure that projects and ideas are progressed so that outcomes can be seen is key – otherwise all that remains are ‘good’ ideas. How has your work here affected you? I think that it has made me view life completely differently. I have a different perspective about planning for the future, supporting others and the social relationships and connections I make. It’s helped me to realise just how important life, loved ones and the community around us is, how important showing interest in those around us can be. Ask, listen and explore where people feel comfortable to do so – all involved in the conversation can benefit and relationships can be strengthened as a result. Have you a few final words Rachel? I am very proud of the work that CLWDW has achieved so far and hopefully the differences we have made to help people to live, age, grieve and die well, although there is still so much to do! It has been a pleasure and a privilege to get to know and work with everyone during the last six and a half years. During this time, I have been introduced to many wonderful committed colleagues, volunteers and community members. I hope that the important work taking place within end of life and palliative care continues to grow and flourish in Cheshire – I have no doubt that with so many passionate and dedicated individuals driving this forward, that this will be the case.